In today’s post I am going to review and interesting Journal article I recently read on things that can trigger your cravings and give you 5 easy tips to help control your appetite. I recently read an article in the journal Brain and Cognition, and it stated that flipping through food magazines and even watching the ever more popular cooking shows can cause you to salivate even if you are not really hungry. But if you are hungry they can make you feel like you are starving. So have a large bottle of water with you to quiet those hunger pains. So here are 5 easy tips to help curb your cravings and appetite. Get Physical, when you start to feel hungry drink some water and go for a walk for 15-20 minutes. You can also ride a stationary bike at home, walk on a treadmill or just walk up and down the steps in your house (but don’t trip!). Some of our patients like to do body-weight exercises like jumping jacks or pushups or just run in place. The exercise will help burn calories and also help to reduce your appetite. One of Dr. Mermelstein’s weight loss tips is to brush and floss your teeth after dinner to help you not stack after dinner. Another tip is to enjoy some sugar-free gum. This is a tip that I use, especially when I am really hungry and not able to eat. My wife’s favorite weight loss tip is to put a few drops of peppermint oil on a cotton swab, then place them in a jar with a lid. When you are hungry just unscrew the lid and smell the peppermint. This should help should help curb your appetite. 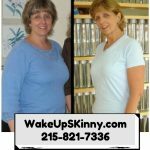 This entry was posted in Diet Doctors in Bucks County, Diet Doctors in Philadelphia, Medical Weight Loss in Philadelphia PA, Medical Weight Loss Philadelphia, weight loss philadelphia and tagged medical weight loss in philadelphia, philadelphia weight loss doctors, weight loss in philadelphia on September 28, 2017 by Dr. Michael Kenny.